Every golfer dreads hazards on the golf course. It can be difficult to get away from them, so you might as well learn how to use them to your advantage. As your skills increase, you will find ways to use some hazards to your advantage, while other hazards will inevitably work against you. Here are three hazards to keep in mind while golfing. 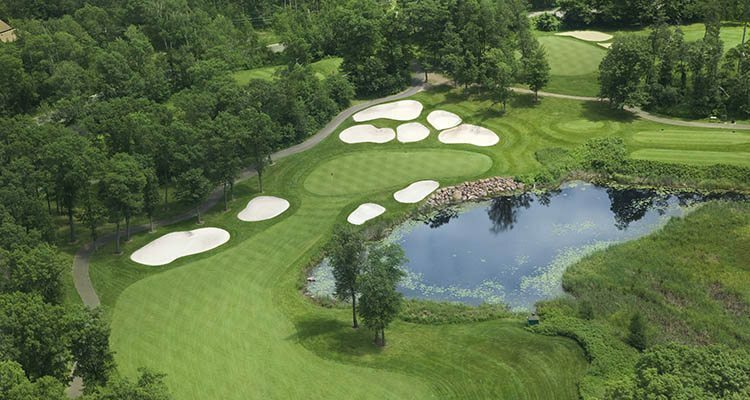 Water hazards, like ponds and lakes, enhance the beauty of the golf course. However, it adds quite a challenge to your golf game. You may get nervous teeing off knowing your ball has to fly above the water. If you mess up, it’ll hurt your score, and that’s no fun. Get your mind thinking positively. Don’t let the water psych you out. Remember, it’s just another shot. Hit with the right club and focus on a specific target and you should be good to go. Even if your shot isn’t perfect, that’s ok.
Other interesting obstacles you may face on the golf course are plants, trees and tall grass. While these may or may not be as difficult as water hazards and bunkers, you want to avoid them at all costs. Hitting your ball into the trees or overgrown brush will make it difficult to set up your next shot or cause you to lose a shot entirely. We’ve all experienced this scenario: you see a tree in the middle of the fairway and you become fearful you’re going to mess up your shot and have it smack right into the tree. The problem is by over-thinking the hazard you actually ruined your chance to hit a great shot! Be aware of hazards but don’t focus on them too much or you’ll certainly hit them. As the saying goes, it’s mind over matter!